In this letter the author says that they have not received the film from the Berry School. 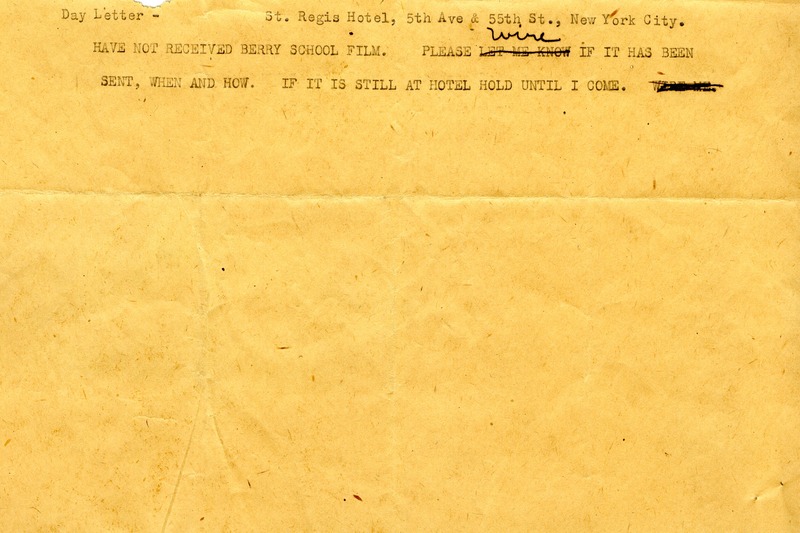 “Day letter to the Berry Schools.” Martha Berry Digital Archive. Eds. Schlitz, Stephanie A., Jordan Brannen, et al. Mount Berry: Berry College, 2012. accessed April 18, 2019, https://mbda.berry.edu/items/show/7969.